Have you ever heard of cordless hair dryers? Why is it a good idea to use them, how beneficial are they, and what are their best sides? Which is the best cordless hair dryer? Read this article and find out. Just as the name suggests, cordless hair dryers are hair dryers that do not come with a cord and so we do not have to plug it in in order to use them. This type of hair dryer could also be called battery powered hair dryer; because the main source of power comes from a rechargeable battery that is either built-in or removable. These hair dryers are great for people who want mobility and flexibility when using a hairdryer. Therefore, it is great for travelers, who don’t want to stuff their baggage or may need to use different voltages without the unnecessary weight of adapters. They are great for campers, who may not always have access to a convenient power outlet as well. Or, if we want to go generally; for all the people with short hair, who don’t require that much power and would like to use a cordless rechargeable hair dryer wherever they want. There certainly are many benefits of rechargeable cordless hair dryers; but here are some of the most important ones that will make you understand why you should always choose a battery operated hairdryer. You can be near the mirror, or you can be multi-tasking like reading our emails while you’re are drying our hair. As it is lightweight it will not cause arm pain as well. Moreover, there’s no need for you to be in a tiny humid bathroom right after you’ve had a shower to style our hair. A power outlet is not a necessity anymore. You also do not need a special dual-voltage hair dryer, since you don’t have to be connected to the power outlet. A truly magnificent solution for your traveling adventures. Cordless rechargeable hair dryers use up around 400 watts, which is less comparatively and you don’t have to use it while its connected to power this results in lower exposure to EMF radiation. Cordless hair dryers can weigh from 0.8 to 1.2 pounds. They are truly easy to use with minimal features thanks to which you are able to adjust the flow as well as the temperature. Many of them are foldable as well; so you won’t have problems putting them in your baggage. When it comes to choosing the best battery operated hair dryer; there are a few key things that should be taken into consideration. Things like running time, charging time, power, as well as dryer attachments in case you want to style your hair using them. Let us help you choose the best cordless hair dryer with these useful tips. You need to make sure the hair dryer is on long enough so you’re able to finish drying and styling your hair. That being said; a single charge should generally last long enough for you to get your hair done as you wish. However, you should remember that using the dryer on full heat is not a good idea, as it will drain the battery much more. 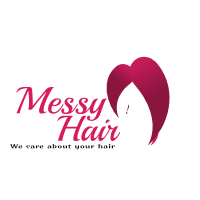 In general, we need at least half an hour (15 mins for drying and another 15 mins for styling), but bare in mind that this will vary depending on hair thickness and length. When it comes to charging; you have two choices. You can get a wireless hair dryer with a fast charging option, or you can use replaceable batteries as well. That way, you can simply replace the battery and charge it up, all that while the other battery is in use. The usual charging time for most of these hair dryers is approximately 3 hours. The battery size will be determined according to the power as well as the weight of the hair dryer. If you styling your hair requires more heat, as well as faster drying, then a higher power is what you need. In case you have short or fine hair and you don’t need much time to dry and style it according to your wishes, a lower power will be able to satisfy your need just fine. That being said, the typical power usage is around 400 watts. There are many kinds of attachments available. For example, a diffuser spreads out the air as well as the heat over a wider area, thus allowing you to obtain bounce, curls, and volume in your hair. On the other hand, a concentrator focuses the air as well as the heat in a single place, and it is therefore used to smooth down frizz and straighten your hair. Now that we’ve covered the basic yet important things regarding cordless rechargeable hair dryers that will make your choice that much easier; we would like to help you even more by making this list of some of the best professional cordless hair dryers available on the market at the moment. This battery powered hair dryer is perfect for traveling, outdoor camping, hiking, swimming, painting testing, etc. It’s lightweight and easy to fold and take with you wherever you want. Hot air can be used for about 15 to 20 minutes. Moreover, when the heating switch can’t be used, you can turn to the cold wind that can be used for another 20 minutes. It is recommended to buy extra batteries so that the hair dryer could work even better. What’s even better; It is not only a hair dryer but also a portable charger! The battery can be charged and it can store energy itself. You can take the battery out when in need. For it to become a charger; you only need to get a USB cable, and then use it to charge your smartphone, camera, pad etc. A truly amazing professional cordless hair dryer that gives you everything you might need. This great hair dryer has a retractable cord which makes it a great choice if you don’t have too much space in your baggage or at home; as it can be easily folded and stored away precisely thanks to the retractable cord. Moreover; it is powerful and lightweight; so it won’t be too heavy for you to carry, but will, however, provide you with enough power to dry your hair fast enough. A great choice for all of you who want Foldable and portable yet good quality hairdryer. This might be just what you need. This cordless hair dryer gives you all you might need. As it is both cordless and rechargeable, but it can be battery powered as well. In other words, it gives you plenty of options to choose from. Moreover; this battery powered hair dryer is lightweight and folds with ease; which makes it portable as well. A great choice for business trips or vacations, as it won’t take too much space in your baggage, and you can use it whenever you wish and as you wish. Thanks to its good power; your hair will be dry and styled in no time. This surely is the best cordless hair dryer for an adventurous soul. In the end, all we can do is hope this article will help you choose the best cordless hair dryer according to your needs. 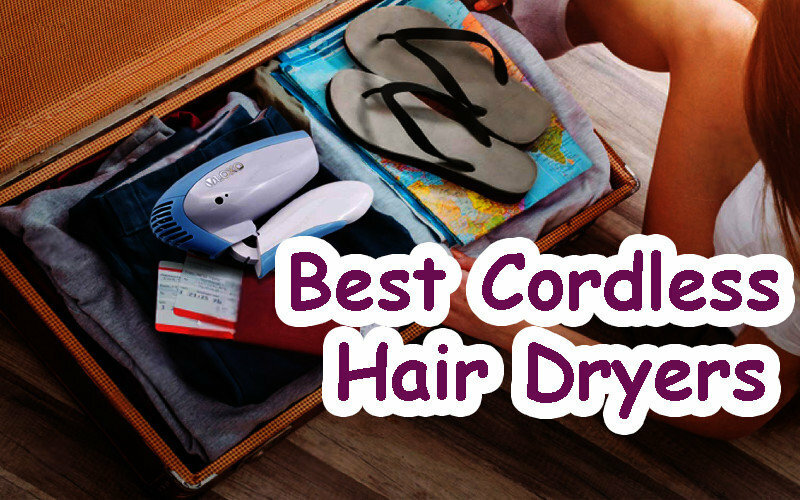 Remember; a battery operated hair dryer is a great choice when traveling, or simply being in a position where the cord would be a problem. Choose the most suitable cordless hair dryer and enjoy the freedom of drying your hair where and as you wish.